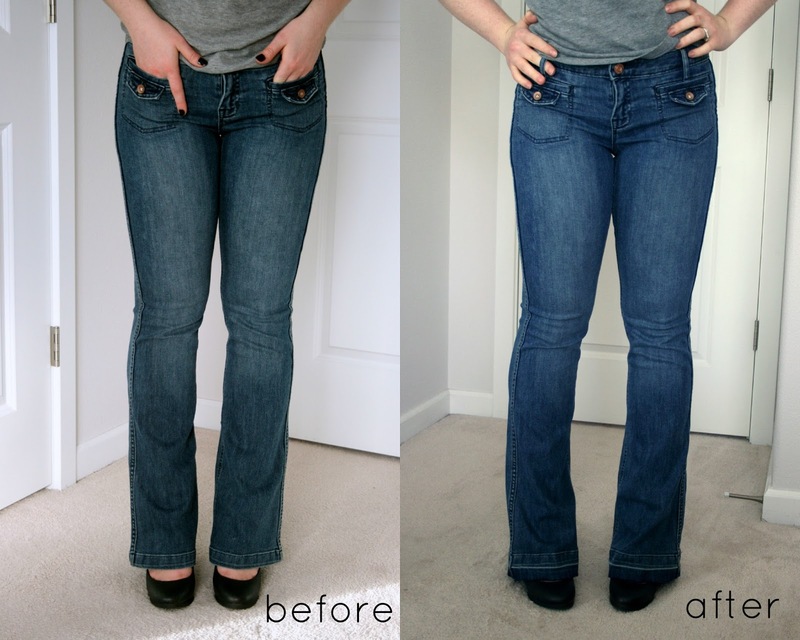 How to make jeans a little longer - with a hem facing! Let's roll back to 2010. I did this tutorial on how to make your jeans a little longer. Well, I just something similar (but even cooler) to these flared, slightly high-waisted Gap Outlet jeans that I got at Grocery Outlet. Ha!! Grocery Outlet is a chain of locally owned discount stores that normally have a sort of sketchy selection of produce but are known for their high quality wines at good prices and are a great place to find organic and health food store-type snack foods (like a whole box of Lara Bars for $10!). And Kiss My Face hand soap and castille soap! They also occasionally have clothes from Old Navy, Target, Kmart, whatever. Rumor has it that my friend's friend once got a pair of Jack Purcels there for $5 back in high school. The stuff of legend!! But I can believe it happened. Amazing. So they had a whole huge rack of these Gap Outlet flares there last time I was there (circa Summer 2012, as the label inside says) and I bought a pair (without trying them on, of course--no changing rooms at a grocery store). Luckily they fit great except the length. Too short to wear with heels, which is kind of the point of wearing big flares! They didn't have my size in a longer length. But they're cute, and unlike anything else I have, and husband loved them. So I thought I'd give them a hem facing, using the extra fabric in the (deep) hem. 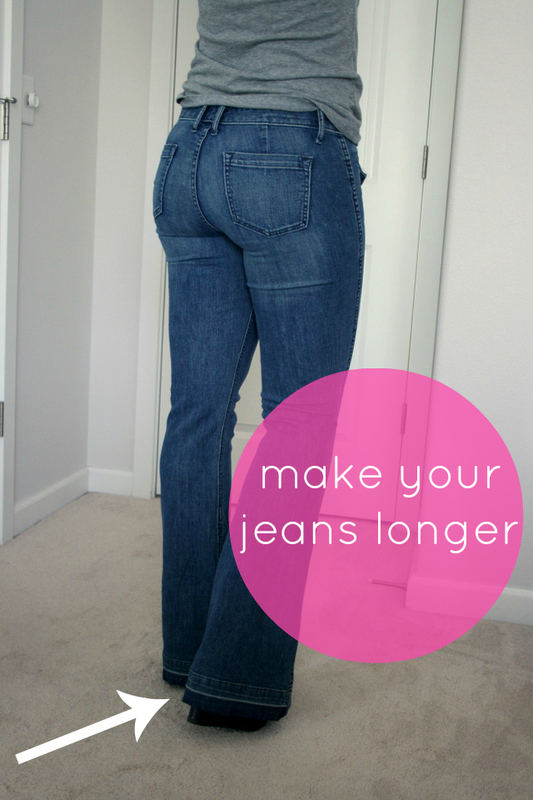 Remember that old tutorial for lengthening jeans? This one's even cooler since it leaves you with some nice extra weight to keep the jeans laying flat and behaving like the strong hem of store-bought hemmed jeans. 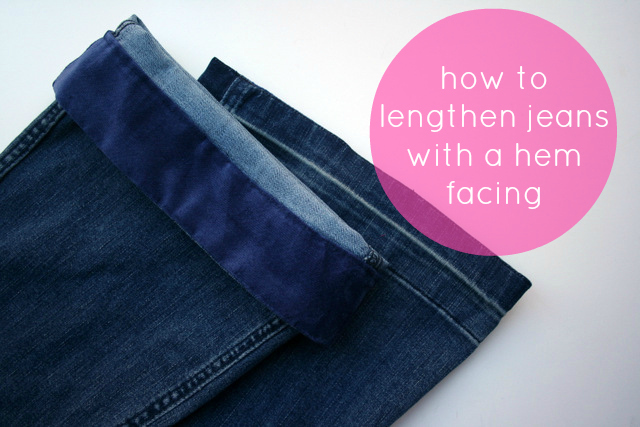 How to Make Jeans Longer - With a Hem Facing! 1./2. Unpick the original hem stitching and press the leg openings flat. 3. 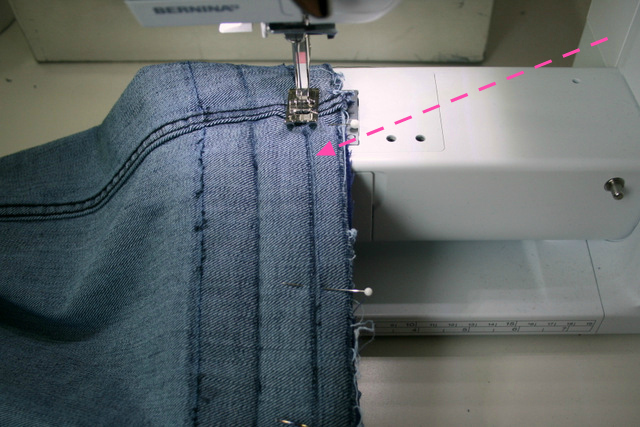 With a fabric of a similar weight to the jeans, cut a hem facing piece with a 1/2" seam allowance on all sides and above the original seam line at the top. 4.Sew the sets right sides together. 6. Pin right sides together (anchor at center front and back notches, and sides). 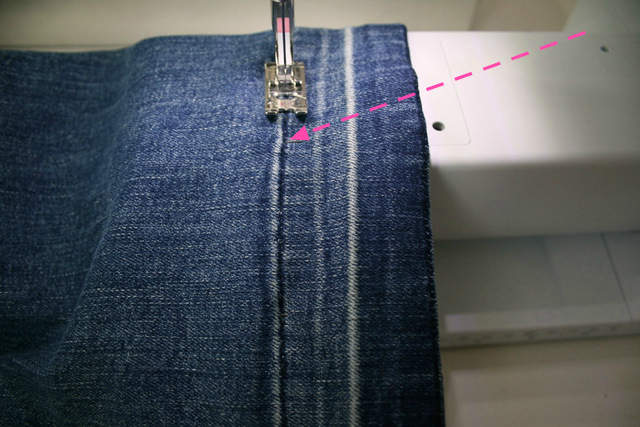 Turn jeans inside out so you can see the original fold line of the turn-under of the original hem. Sew along that line (in between the perforations of the back side of the original hem seam). Give it an extra press and you're good to go! I made these more than an inch longer! Wow, very thorough!! Great idea! Beautifully done. I love how it turned out. I'm going to copy the idea to my old pants.